North Korean leader Kim Jong-un's younger sister gave birth to a baby not long after she visited South Korea in February to attend the Winter Olympics in Pyeongchang. 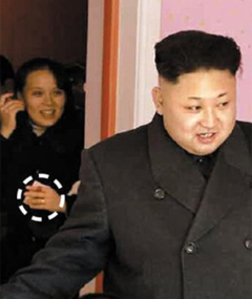 Kim Yo-jong was already about eight months pregnant when she came to Seoul on Feb. 9. She is believed to have given birth before the inter-Korean summit on April 27, intelligence authorities here said. 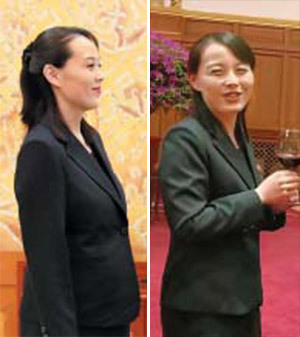 During the summit the signs of her pregnancy were already gone and she wore tight-fitting clothes. She also accompanied her brother to a meeting with Chinese President Xi Jinping in Dalian on May 8-9. Intelligence authorities believe she had her first child in 2015. Her husband is thought to be the son of a low-ranking Workers Party official and a classmate of hers at Kim Il-sung University. The North Korea Strategic Information Service Center, a defector group, has identified him as U In-hak. Kim Yo-jong is increasingly playing the role of her brother's chief secretary, but it remains to be seen whether she will be by his side at the North Korea-U.S. summit in Singapore next month.